Pickleball is more than just a sport for some retirees—it is a link to a vast, real-world social network, with membership potentially leading to cognitive and physical health benefits. Touted as the fastest growing sport in the nation, pickleball is providing an opportunity for those in their golden years to meet new people with a shared interest and gain unexpected benefits along the way. A study by Rush University Medical Center explored the benefits of social interaction among seniors and found that socialization can help prevent cognitive decline. The study found participants who regularly socialized were 75 percent less likely to experience cognitive decline. Additionally, the Centers for Disease Control and Prevention says physical activity among seniors can help maintain a good bill of health with benefits such as a reduction in blood pressure and bone, muscle and joint pain. 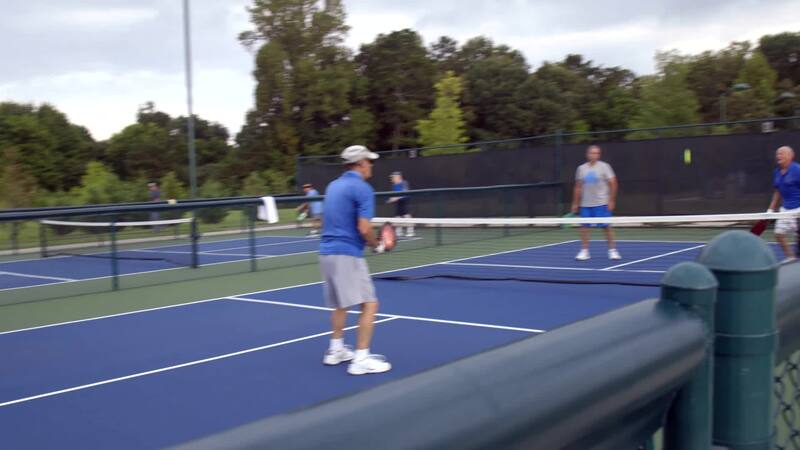 Pickleball, a paddle sport that combines elements of tennis, badminton and ping-pong, has landed in the hearts and on the social calendars of residents of Tellico Village, an active adult retirement community in the foothills of East Tennessee. Kenneth and his wife Sherry play regularly at the community’s eight-court pickleball complex. Nearly 500 of the community’s residents are members of the Tellico Village Pickleball Club, an organization founded in 2005 with only 17 members. For more information on the Tellico Village Pickleball Club visit tvpbc-gameon.org and for more information on the retirement community as a whole, visit tellicovillage.org. Tellico Village is a planned, active adult community established in 1986, located in Loudon County and Monroe County, Tennessee. It encompasses nearly 5,000 acres along Tellico Lake with the community continuing to grow thanks to the variety of recreational amenities available and the friendliness of its nearly 7,000 residents. For more information visit www.tellicovillage.org.